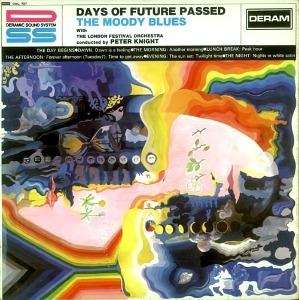 In the early days of the Moody Blues, lead vocalist and guitarist Justin Hayward remembers, “the other guys would often look to me to start an album, because we were contracted to make a certain number of albums in a certain amount of time.” Beginning with 1967’s Days of Future Passed, most notably featuring the rapturous “Nights in White Satin,” Hayward would ultimately pen many of the legendary British band's most defining classics. He hasn’t produced his solo works with the same urgency or consistency — his last one was 1996’s The View From the Hill — but he certainly hasn’t suffered for inspiration. 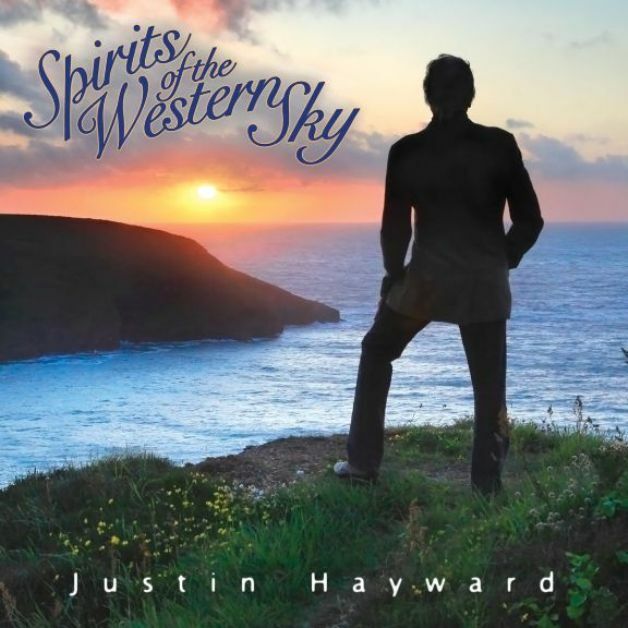 If anything his latest LP, Spirits of the Western Sky, is among Hayward’s most inspired and personal to date. Set for release on February 26 on Eagle Rock Records, the album strikes a reflective, often melancholic tone with such standouts as “Lazy Afternoon” and “Broken Dream,” while other songs embrace pop, orchestral, and, on three tracks, even country distinctions. When you’re writing a song — or when you’ve written a song — is there something that defines it for you that tells you to keep it for yourself instead of doing it with the group? I think there is. I often write things and then I think it’s too personal for the Moodies. It’s not something that I could share with other guys to say. It’s a very personal album — songs about relationships — and that’s probably why it wasn’t [given to the group]. But, I have to say, when I write a song everything starts off the same. I don’t think, “Who would record this?” It’s just me as I’ve always done since I was a kid writing a song. It’s as simple as that. I feel a kind of duty to do it, because I can do it. I think that’s probably the motivation behind any writer. It’s maybe five or ten percent inspiration, which comes early on [when] you have that wonderful moment or that wonderful night where the light shines on you, but inspiration has to find you working. I’ve never been one for sitting in a car or somewhere over dinner and thinking, “That’s a great song,” or something. It has to find me working. So it is that five-or-ten-percent inspiration and then, after that, it’s just pure graft and putting some days in where you’re really despondent, where you feel you’re actually going backwards. You’re not contributing to that inspiration. You’re detracting from it by just trying too hard. But slowly it comes together. If you put the work in it comes together. Several years ago I was asked by a songwriter’s association to go to Nashville — I think it involved some kind of award — and be part of the showcase. It was myself and Stevie Winwood and Michael McDonald and then some country people that I didn’t know. The whole community was just so welcoming to me. I met Jimmy Webb that same night; he was on the show. Can you imagine that? They’re all my heroes. I was standing in the wings just in awe of these people. They were so welcoming to me. That led to an album, a tribute album that was called Moody Bluegrass where they did Moody Blues songs in the bluegrass style. Then, after that record was out, getting to know those guys and the guys that played on that record, I realized that actually this was almost like when I’d started playing as a kid. I’m not quite sure of the country rules, but I know the bluegrass rules which are no electric guitar, no drums, and no electric bass. You’ve got to be able to play it acoustically and do it in one performance. That really appealed to me. You know this as well as I do, but the most valuable commodity in the music business is probably youth. But in Nashville it’s the other way around…. So, doing those three songs was just an absolute joy. Two of the songs I did in one afternoon. They’re very much not like the rest of the album where I was piecing it together with different parts that I wanted to do myself. I was very lucky. I had a few fortunate things happen to me in life. One was when Mike Pinder from the Moodies called me — after Denny Laine had left; the band had only been together like a year or something — completely out of the blue because of my songs; not because I could sing rhythm and blues, which was what they were doing. They knew they weren’t very good; the guys that were left after Denny and Clint [Warwick] went weren’t true to their own hearts by doing rhythm and blues. Denny took that with him. The fortunate event before that was when I left school I got a job playing guitar for a rock ‘n’ roll singer called Marty Wilde, and he was writing his own songs. He told me then — I worship him to this day, I suppose — that to survive in the business you’ve got to create your own style and the best way to do that is to write songs, not do cover versions. I took that to heart.... It opened a world of imagination for me, and a life I never could’ve dreamed of — just by songwriting. How do songs you wrote as a young man — songs like “Nights in White Satin,” “Question,” “Tuesday Afternoon” — resonate with you today? They’re the most beautiful gifts that I’ve been given that we in the band can share, being in a place and singing those songs and feeling the love from the audience. There’s no point in messing around; it is love that comes from the audience when you do those songs. They’re watching the people that did the songs and that’s a wonderful thing to be able to share every night. You never get tired of that. I don’t care if people say, “I’m not doing my old stuff. I’m just doing the new record because I don’t like that stuff anymore.” I never get tired of that, and I think I’ll always want to do it. It’s a real privilege. But “Nights…” in particular I kind of lost. I was only nineteen when I wrote the song, and it meant a lot to me then. I was in the end of one love affair and the beginning of another. But over the years I’d gotten into the mechanics of doing it and how it worked every night on stage and every nuance of it to make it smoother and better. Then, last year somebody sent me a version of it — there’s bloody loads of cover versions of “Nights…” mostly by Romantic Strings Play Romantic Favorites in the Night, that sort of stuff — by a woman called Bettye LaVette. I opened it up on my email and was expecting it to be another kind of slightly dodgy cover version. And I sat there and cried like a baby. I saw the song almost for the first time. I’d kind of forgotten over the years what I’d put into it. My wife came in. I was still in bed looking at my computer and listening to it. And she said, “What on earth is the matter?” I said, “Just listen to this!” It was astounding, how somebody could take it and make it their own and reveal it to me. It was wonderful. I’d love to meet her one day. She’s got it. Whatever it is, she’s got it. Yes, very much. Particularly things like “Tuesday Afternoon.” When it was written I was a bit stoned. I went and sat in a field and it took all of like twenty minutes to do. The fact that other people could share that moment so graphically as well, and what it meant to other people, is fantastic. The biggest effect I had of that, I think, was with a song called “In Your Wildest Dreams” and another one called “I Know You’re Out There Somewhere” which followed it up — recordings we’d made with [producer] Tony Visconti. I thought we were making a light, little record about something that was just a bit frivolous. I realized afterwards when people started to like it [that] it was a shared experience. And the fact that that record was a big hit was a sensational time for the band. We were given another go ‘round at being pop stars. 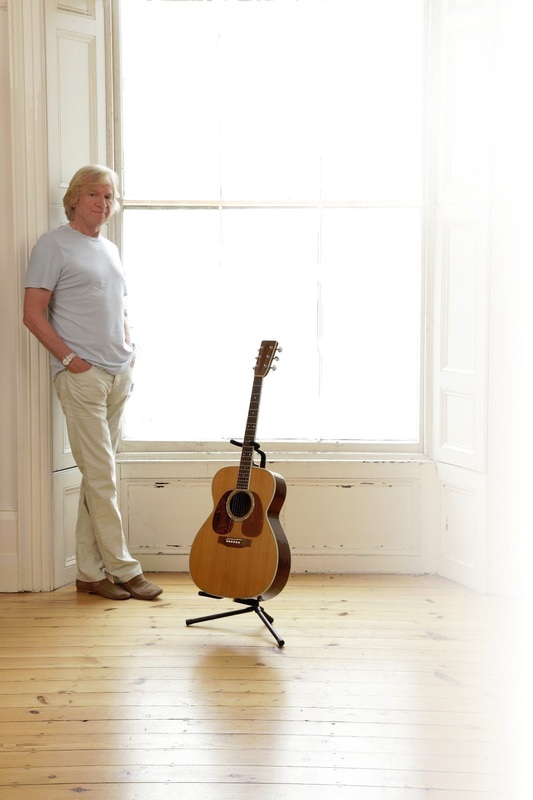 Justin Hayward has been the constant voice and inspiration in my life. My hero, really. I was raised on the Moodies, Bluejays, Songwriter, and they are the soundtrack of my life. It's great to know that Justin is such a mellow and grounded person. Here's to you, Hayward. Thank you for all the joy and meaning you have given to me and my family since my father first saw you at a gig in San Francisco back in 69 at the Fillmore, you in your puffy shirt!